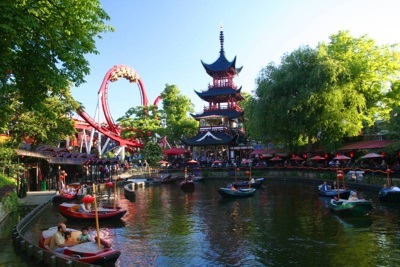 Welcome to Travel Guide 2 Denmark, the site about travel, tourism and vacations in Denmark. 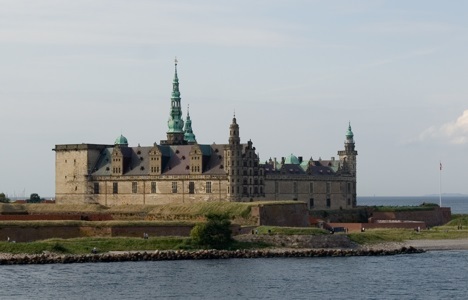 The Kingdom of Denmark (Danish: Kongeriget Danmark) is a country in northern Europe that lies between the North Sea and Baltic Sea (and has coasts on both seas). 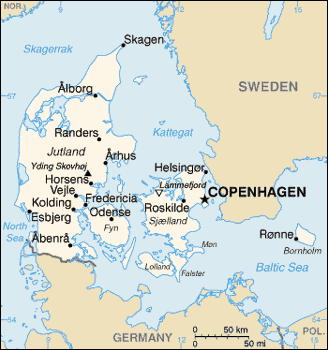 The Danish mainland (the Jutland peninsula) is bordered to the South by Germany, but there are also many Danish islands in the Baltic Sea (this area is known as the "Danish Straits"), with the Danish capital, Copenhagen, being located on two such islands (connected by bridges) - Zealand (Danish: Sjælland) and Amager. Denmark also incorporates two off-shore territories, namely the Faroe Islands (Danish: Færøerne) and Greenland (Danish: Grønland), which were granted home rule in 1948 and 1979 respectively. Under this arrangement, the territories control most of their internal affairs (for example, they have both opted not to be part of the European Union), but are represented in the Danish parliament. Denmark and these two territories are often collectively known by the Danish term "Rigsfællesskabet", which means "Community of the Realm". As of 2007, Denmark had a population of approximately 5.5 million. Approximately a third of the population, 1.8 million, (although exact figures are hard to calculate because the city limits are not well-defined) live in the capital and largest city Copenhagen. Denmark has a modern developed economy, principally based around services, and a high standard of living. There is a significant industrial sector, and important exports include instruments and machinery. The economies of the Faroe Islands and Greenland are however almost entirely based on fisheries, and significant amounts of financial support, principally from the Danish government, but also from the European Union. Denmark itself is a member of the European Union, but as already mentioned, the Faroe Islands and Greenland are not. Denmark is not currently a member of the eurozone after a referendum in 2000, resulted in a majority against joining. Nevertheless the Danish krone is pegged to the euro, as Denmark remains a member of the European Exchange Rate Mechanism (ERM). Even though they are not part of the European Union, the Faroe Islands and Greenland are part of the ERM, because they use the Danish krone as currency (in the form of the the Faroese króna in the Faroe Islands).